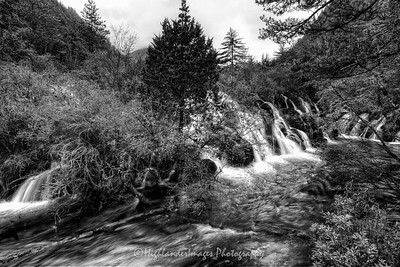 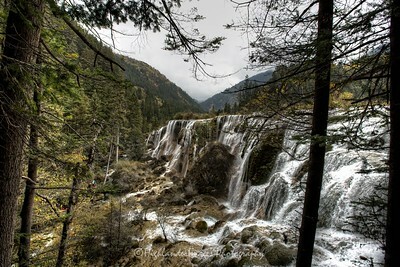 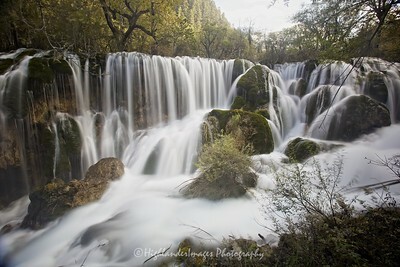 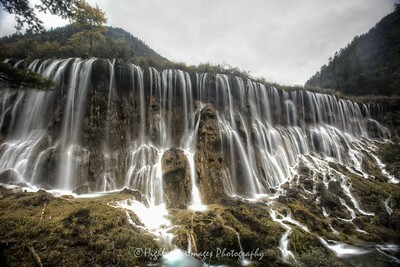 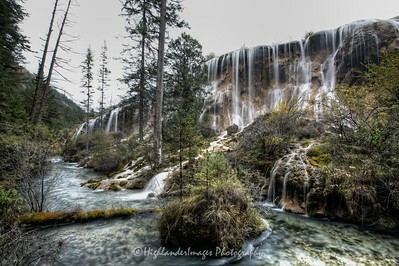 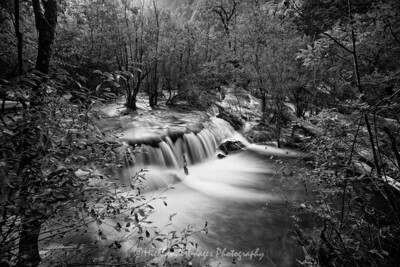 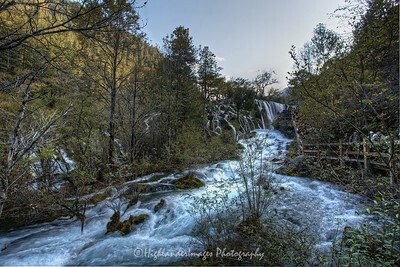 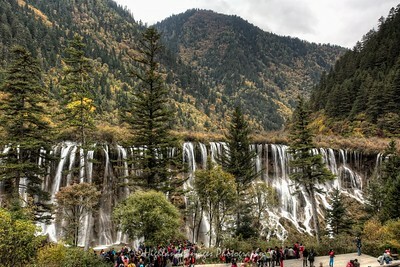 One of the most unique aspects of the Juizhaigou Valley are the many waterfalls ranging from small falls through to large multi-tiered cascades. 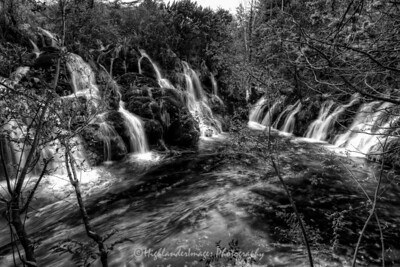 With the nature of the geology and the embedded trees and shrubs there is a unique blend of water and flora creating a mystical "Garden of Eden" like landscape. 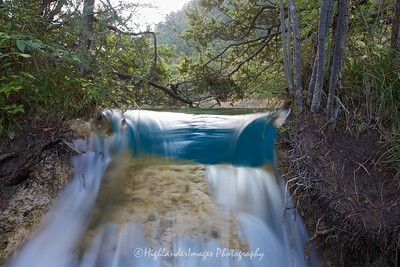 In Autumn the rich orange, yellows and greens of the trees combined with the exceptionally crystal-clear aquamarine waters create a rich texture of colours as a backdrop.